Gavin Ekstrom CrossCountry Mortgage, Inc. SIT BACK AND RELAX, YOU HAVE FOUND US When you think top producing Mortgage Professional, think Gavin Ekstrom. Gavin has been a leading Mortgage expert since his first year in business, to the tune of $700 million in residential loans over his 27-year career. Gavin will tell you the key to his success has been: Teamwork! Driven by his passion for superior customer service, Gavin has built team that is known throughout Denver for consistently delivering the area's best home buying experience. Gavin prides himself in keeping all parties satisfied and informed through the entire loan process; and closing on-time every time! Gavin and his team are the best in the business. I’ve done many deals with Gavin over the years and can’t think of another team I would want or need to work with. I was assisted by Mistie Castro throughout the whole buying process. When 1 bank failed to approve my loan she found another bank with an identical offer. The whole process was made easy by how Mistie explained the steps and what needed to be done. Overall, I'm satisfied with the results and with Mistie's work. Easy to work with great communication. very smooth transaction. All I had to do was get them the documents and pick out a home.. the worked with the AZ title company and we closed easily and timely. 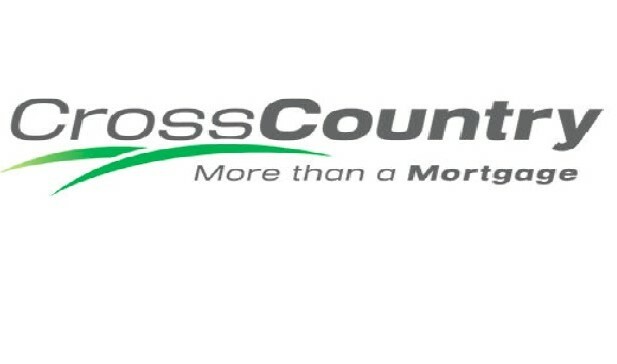 Working with Crosscountry Mortgage on a Re-Fi is supercalifragilisticexpialidocious! Wonderful, for those who don't have time to look at Webster :-) The process is streamlined and I was able to do everything on-line i.e. submit paper works, electronically sign documents. A time saver! Special thanks to Rachel Sena for her responsiveness to client needs. Thank you so much Carlos! We greatly appreciate you sharing your experience with us! My transaction was simple and timely. They made it so easy. All I had to do was supply the documents and find a home. Great communication and follow through and they worked with an out of state title company i=on a property I purchased in AZ. Azlee was so attentive and provide weekly updates. Great communication. highly reccomend her! Thank you Terry, we truly appreciate you sharing your experience with us!! The process was seamless from start to finish. Several options were presented about how to tackle the mortgage. Any questions we had were handled quickly, and in-depth answers were provided. Thank you Craig! We truly appreciate you sharing your experience with us! Rachel Sena was amazing and worked so hard to get me through the home buying process. Her whole team working with her was efficient and timely. Overall, Cross Country was awesome . The little gifts the company sent throughout the whole process was a generous touch, thank you to everyone at Cross Country! Thank you so much Krista! We greatly appreciate you sharing your experience with us! Thank you for your kind words Eric! We greatly appreciate you sharing your experience with us! I thought, because of my MASSIVE student loan debt ($361,000), that I would be stuck in my literally rotting old house for a loooong time. Id spoken with several lenders who gave up pretty quickly too. Then a friend suggested i reach out to her lender. Margarita. I'm beyond grateful that I did. In addition to walking me through ways to "fix" my mess, she jumped through hoops each time we hit a wall. She and her team were so fast, attentive, and SO on top of every nuance, curveball, and change. I, literally, could not be in the gorgeous new place Im in today. Now, thanks to this team and my amazing realtor, im the proud owner of a beautiful, non-crumbling, spacious condo! Thank you thsnk you THANK YOU! And to those considering this team, i say, STOP! Youve found the one! Nothing but AMAZING! Azlee and her team was there through the whole process of us getting our loans. Always there to answer our emails and phone calls. If it wasn't for this amazing team we would have been so lost. We are very thankful we had such amazing people helping us along the way! Thank you for your kind words Chris. We appreciate you sharing your experience with us!